I attended the crochet workshop hosted by Leen Van Dyck of Mayown, a social enterprise based in Manila. She has taught a team of poor moms to crochet, and the impact has been tremendous. They are able to make high-quality stuffed toys, and they are paid fairly for their crochet work. They are able to provide food for their families, and their confidence is also boosted by their skills trainings. I am down for some training in intermediate crochet. As Leen is a certified teacher in an international school in Makati, she’s very patient. I was assured that I will learn how to read patterns and improve my stitches. 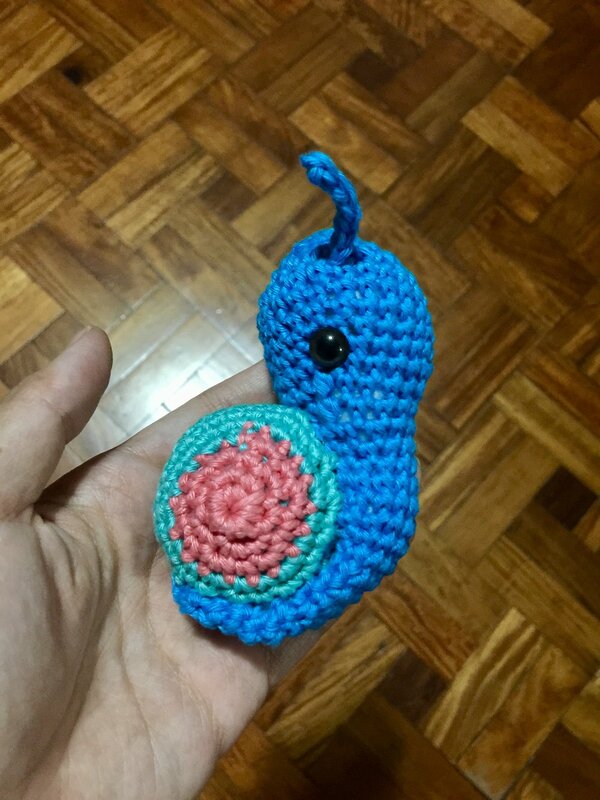 My three classmates were learning basic crochet, while I got a kit enough for two palm-sized stuffed animals- an owl and a snail. I had a fun five-hour class while sipping coffee and chatting with Leen. It was enjoyable and humbling at the same time to read a pattern and correctly form a stuffed animal. I finished my owl and snail at home. It was so fulfilling! 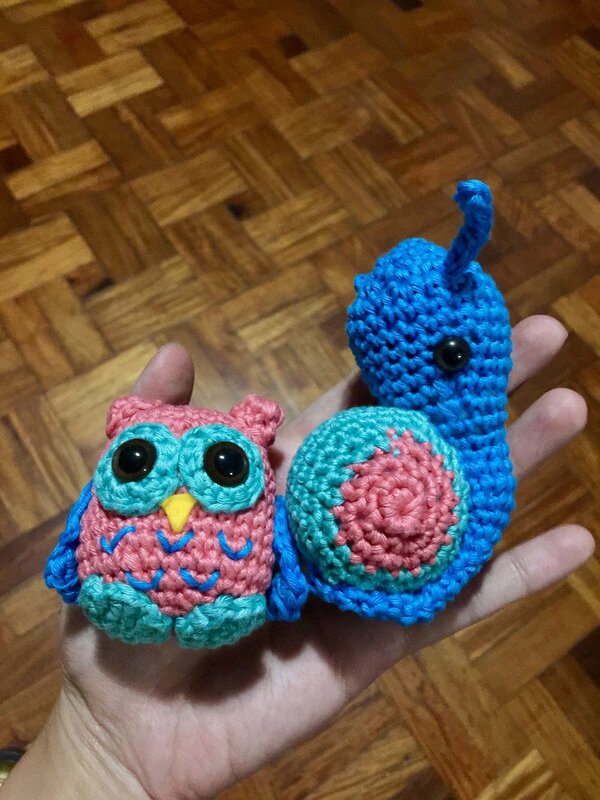 I am more confident about my crochet skills after the workshop, and I am determined to continue crocheting- not necessarily make amigurumi stuffed toys, but to apply the skills when I crochet. I am thankful to have met Leen too as she is now a friend that I have gained during the class. I can’t wait to continue making!